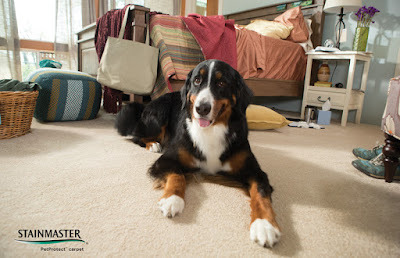 You love your pets and you love your carpet - can the two get along? Yes! It's true that pets raise some challenges for homeowners with carpets. With a little advance consideration you'll find the perfect carpet for the two-footed and four-footed members of your family. Indianapolis carpet store Kermans has three things to consider before buying carpet in a home with pets. Accidents will happen! 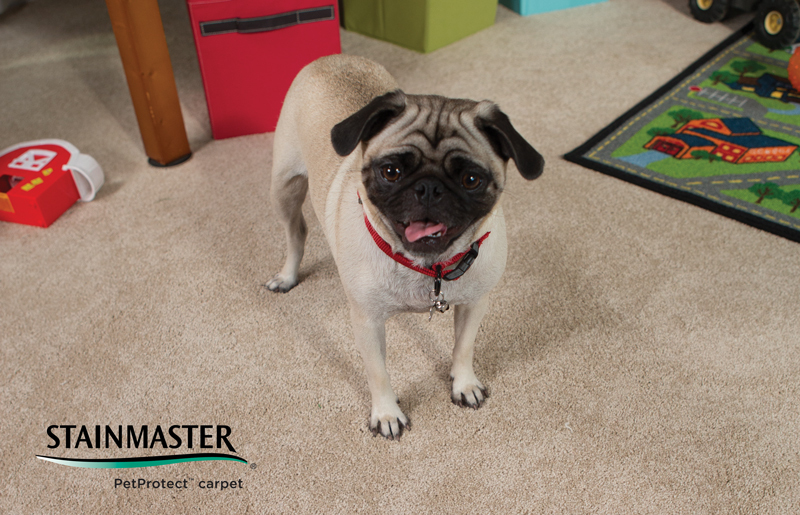 Whether it's tracked in mud and dirt or a potty-training slip-up, when you have pets your carpet needs to be able to stand up to stains. Many of today's carpets come with stain resistance built into the fibers. 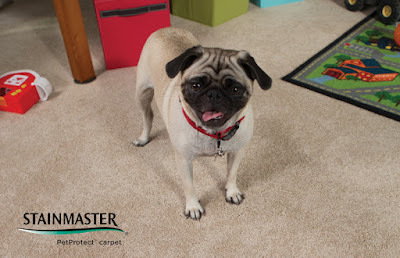 Talk to your sales consultant about additional stain resistance that can be added with pets in mind. Pets also tend to lay on one spot of the floor regularly. Oils from their fur will build up on the carpet and become a magnet for dirt and soil. You'll appreciate the stain resistant qualities of your carpet for this regular maintenance need as well. Need some stain removal tips? Check out our free carpet care guide. The color carpet you select can go a long way to "hiding" wear and tear from pets. Instead of a creamy white carpet, consider a beige carpet with flecks of color. Those flecks will help disguise some of the spots and stains that your pets leave behind. Pets also have a tendency to shed and the right color carpet can help keep visible pet hair down to a minimum in between your regular vacuum sessions. Loop carpets are great for standing up to high traffic. They aren't so great at standing up to pet claws. Claws of pets - particularly larger dogs - can catch on the carpet loops and cause snags or even tears in your carpet. We recommend looking at cut pile carpet as a more pet-friendly option. Install a tile entry way or lay mats at the doorways: Having a barrier between the outdoors and your carpet can help keep outside dirt off your carpet. Use washable area rugs on the floor where pets spend most of their time so you can easily clean the rug on a regular basis. Don't forget to vacuum at least once a week! Kermans has been the top Indianapolis carpet store for generations of families with pets. We have the selection, prices and advice that helps families find the best carpet for everyone in their family, including the cats and dogs. Stop by our showroom on the Northside of Indianapolis and experience the Kermans Advantage for yourself. We look forward to meeting you!